People across the country watch the silver ball drop in Times Square to signal in the new year. Thousands of visitors and local New Yorkers cram the streets to see it in person and experience the event. This has been going on for decades! Times Square has changed much over that time. 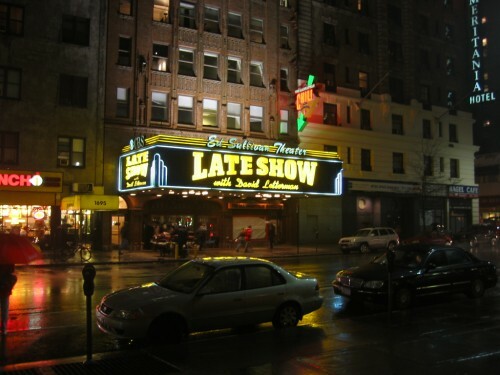 It has always been the entertainment center for theater, and the busiest theater district in the world. The first large electric sign was installed in 1917. Today, according to the zoning laws of NYC, all buildings have to have billboards. During and following the Great Depression, attendance to plays decreased and led many area businesses to shut down. This decline lasted for a number of years and visits to the area diminished. Disney opened a store in the 80’s and that started the resurgence, initiating the overall change into a family friendly environment. Today it is once again a prime tourist attraction and a variety of stores and attractions for everyone line the streets. When Was The Last Time You Visited this Hub of NYC? We know. Driving into New York City can be challenging – especially if you are not used to doing the trip all the time. But there is a great alternative. You and your group can charter a bus in a variety of sizes and a professional driver will take everyone safely there in luxurious comfort. As opposed to the train, you can be seeing the same view as the cars, except that since you are not behind the wheel – you can take in all the scenery as you approach and enter the city. Your group can coordinate the itinerary of the day to revolve it around seeing the Broadway show of your choice. 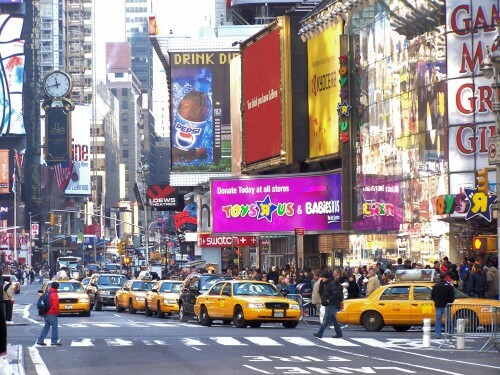 Once in the Times Square area, there are an abundance of amazing restaurants to choose from. Don’t forget to shop – almost everything you desire is contained there. For your kids, bring home some incredible presents that can only be found in this one of a kind neighborhood. Remember the old wax museums? Madame Tussaud has a new version to see. 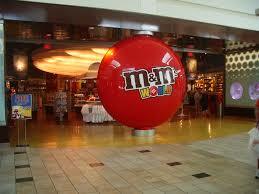 The Hershey Store and the M&M World will accommodate your chocolate cravings. Toys R Us is huge – over one hundred thousand square feet of toys! The lights, the food, the shows, the excitement – the buzz of the family oriented crowd enjoying one of the most electrifying places in the world. If you have never been – what are you waiting for? If you have past memories there – it might be time to revisit them – and see what years of change has created since your last encounter with New York’s Time Square atmosphere! We’ll be sure to wake you up when you arrive safely back in your home town!